WHOA Farms makes wine in order to give food away. According to Sonoma County’s strangely riveting official document, “Obesity Prevention Plan, 2010-2013,” a 2,000-calorie-a-day diet consisting of calorie-dense foods costs the local consumer $3.52. The average American eats a range of foods at that calorie level costing roughly $7 a day. But the price of a diet providing the same amount of daily energy but composed solely of low-calorie, high-nutrient foods? $36.32. A day. With an estimated 40 percent of Sonoma County adolescents now categorized as obese, food cost and health education have never been more important. 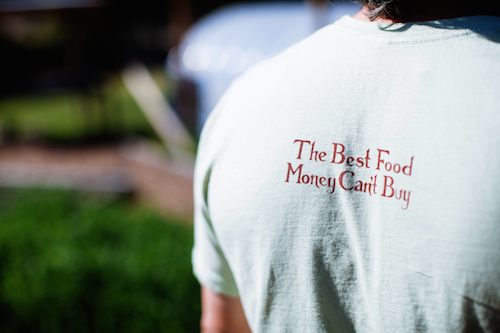 Smack amid our bucolic rural paradise, where some of the best food in the United States is grown, our youngest community has never been less well-fed. Blame fast food, blame the economy, blame the 1 percent—cast blame all around. It won’t do any good. Action is the only answer. At least that’s how Eddie Gelsman and his wife Wendy Mardigian see it. And they have certainly put their money where our mouths are. You can’t buy it, because they give it away. Last year, they gave away 40,000 pounds of produce and 12,000 dozen chicken eggs at an estimated cost of $150,000. They employ five full time employees at WHOA, including a couple who live on the Petaluma Hill Road property with their toddler daughter and work the kinds of hours that farmers always have—that is, all the time. Gelsman is a successful rare wine broker who co-owns Petaluma’s Wine Library with his brother Carl. Mardigian was a stay-at-home mom of their two young sons who started a terraced vegetable garden on their home property as a “hobby,” she says, to keep busy when the boys were little. Turns out, she grew more than just food; her hobby launched a new branch of philanthropy in the family. WHOA’s current beneficiaries are the Santa Rosa Health Center, the Forestville Wellness Center, the Ceres Project, and the St. Vincent de Paul dining room. 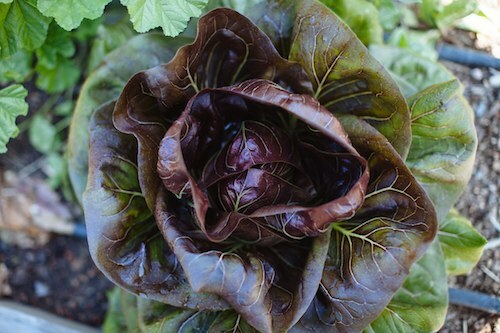 The couple deliver the produce themselves each day during the growing season, taking pride in harvesting food in the morning that will be eaten that night. WHOA Farm consists of 16 acres of vegetables and hay, 11 acres of Pinot Noir grapes leased from the Crane family—whose melon barn is in the middle of the spread—and an additional 800 acres across the street waiting to someday be planted. WHOA is no longer a dream, it’s a full-on operation. A damned expensive one. After five years of funding the whole nonprofit themselves, Gelsman and Mardigian are avidly awaiting the release of their 2012 WHOA Farm Pinot Noir. Guy Davis of Davis Family Vineyards has volunteered to be their wine-maker and the couple anticipates that 600 cases will be ready for sale this fall. Tentatively priced between $35-$40 a bottle, sales of WHOA Farm Pinot might, just maybe, provide half of the farm’s operating costs. “If our projections are right, it might even cover more than that,” Gelsman says, “because we can certainly increase our production as time allows. This is about everybody’s opportunity, not only in Sonoma County, to support what we’re doing by buying the wine, but all over the state of California and the United States, as well as internationally. Napa may be the Big Brother, but Sonoma County is right there behind it in terms of international recognition and right there behind it, certainly, in terms of need. 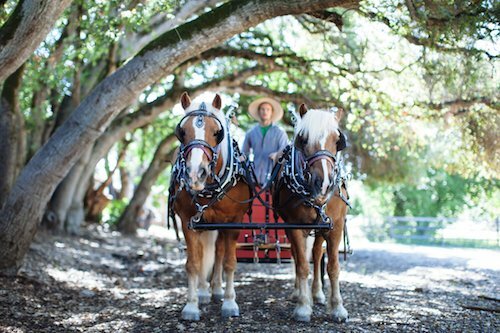 The farm’s acronym stands for Work Horse Organic Agriculture, and indeed, Gelsman and Mardigian employ two Haflinger draft horses to plow their fields as part of their focus on sustainable farming. Gelsman and Mardigian are optimistic that they will be able to interest other deep-pocketed folks in helping to support the farm. And they’re positive that the wine will be a hit. Wine sales will be from the WHOA Farm website, a few select retailers, and some area restaurants. While 100 percent of the online proceeds will benefit WHOA, Gelsman says that retailers and restaurateurs have agreed to take a lesser mark-up to support the nonprofit’s efforts. 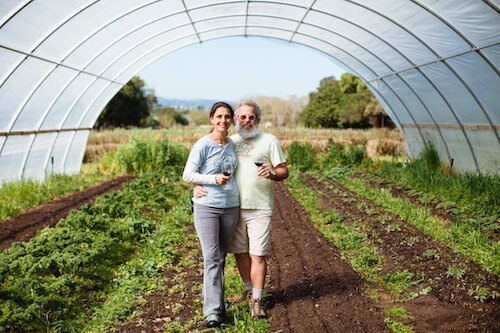 There are lots of problems in the world and at home, but not everyone purchases land, hires employees, grows food simply with the intention of donating it, and makes wine to try to pay for it. Why WHOA? Gelsman shakes his head. “For those of us who eat well every day, to think that this is just some sort of a problem that we can just turn our heads away from, well—it is happening and it’s getting worse. He glances at his wife.